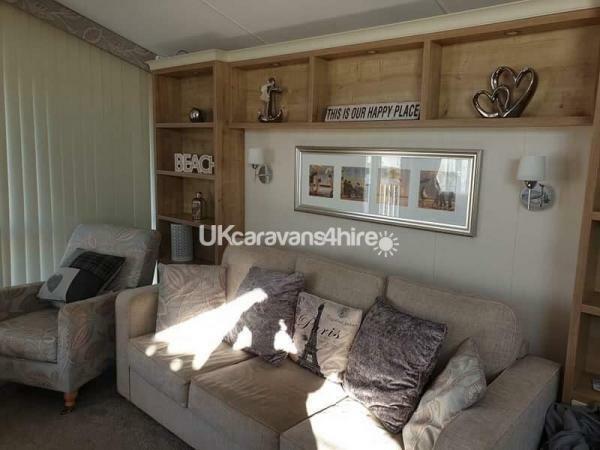 Our caravan is a Platinum Grade Willerby Vogue Lodge model very comfortable and modern decoration with high grade furniture, It also has a veranda and wrap around decking. 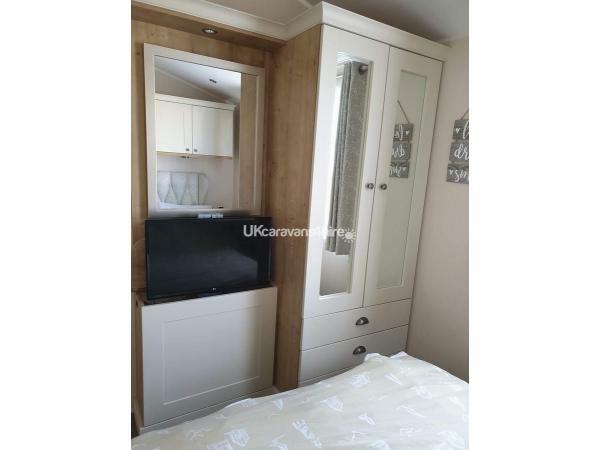 This lovely high spec caravan is a real home from home it has a veranda and wrap around decking and is located in a cul de sac area so there is no through traffic. It has its own numbered parking space for you to use. 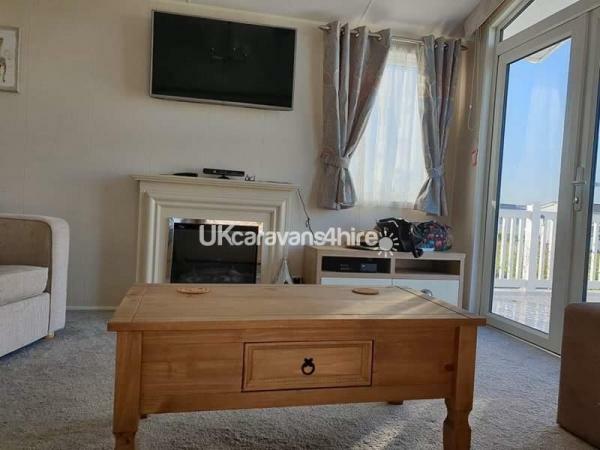 Lounge - There is ample contemporary free standing furniture, 43" 4k flat screen smart TV, , coffee table with plenty of comfortable seating.Iron and ironing board. There are a selection of games to amuse adults as well as children. 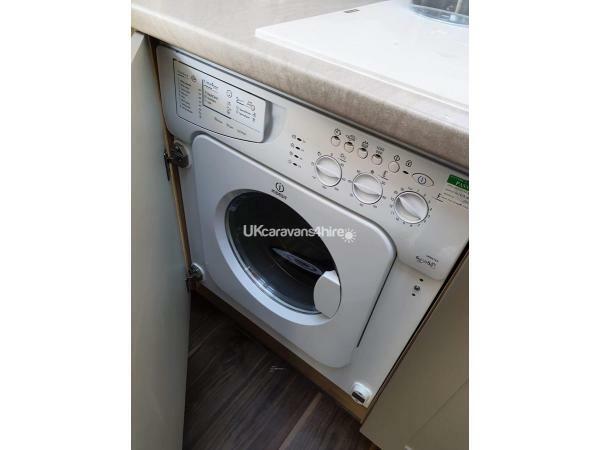 there is also a bluetooth music system built into the caravan that can connect to any bluetooth enabled phone/tablet to play your own music or listen to radio, xbox 360 and games and a wide range of DVD's. 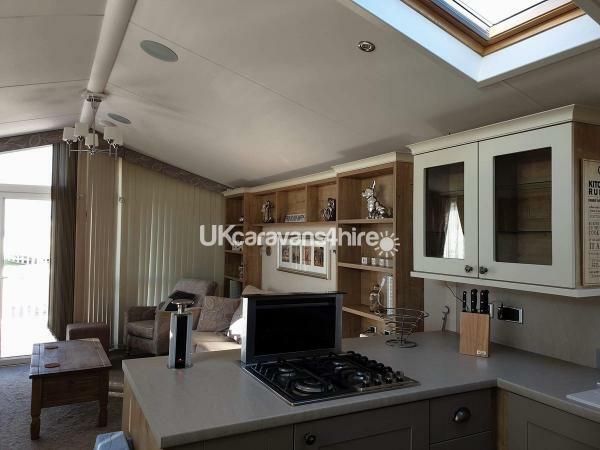 Kitchen - The kitchen has a built in fridge and freezer, gas hob with extractor fan, double oven and microwave. 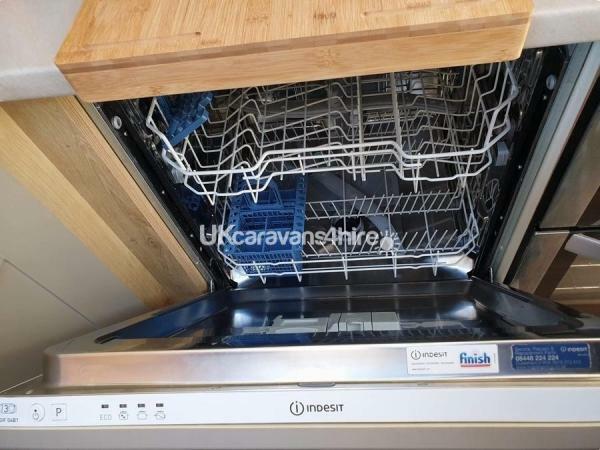 The kitchen includes a full size dishwasher and washer dryer, all cooking utensils and crockery that you should need. 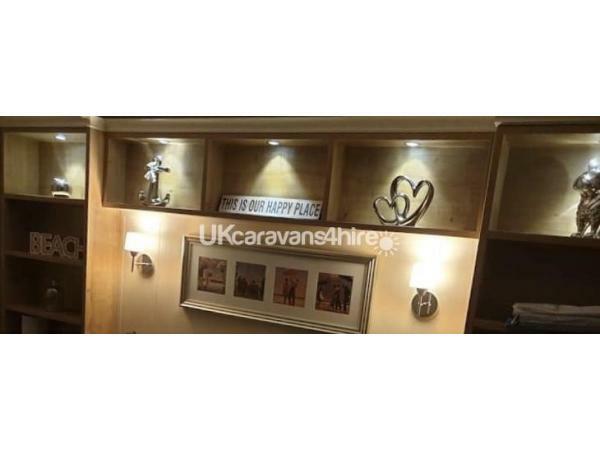 Dining area- there is a free standing table with 4 chairs, place mats and cup/glass mats. 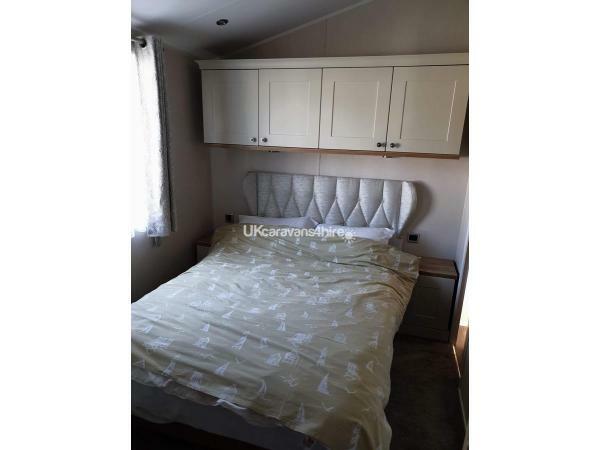 Bedrooms - There are 3 bedrooms, one double with ensuite toilet and basin and a 28" smart TV, there are 2 twin rooms, the beds can be put together to make up small doubles both include wall mounted smart televisions. 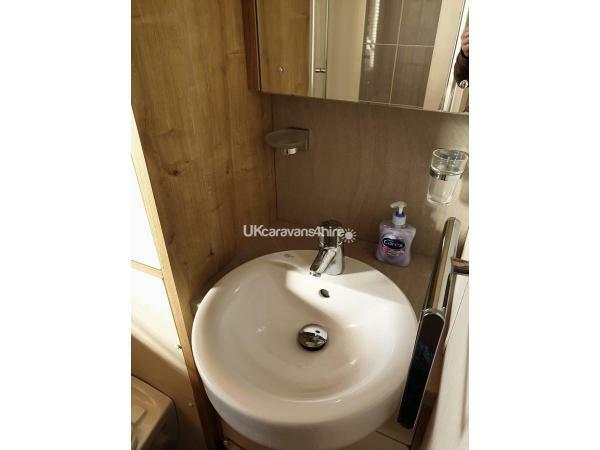 Bathroom - with a hand basin and toilet and a built in large shower, hair dryer available. Veranda has a 2 seater bench, table and 2 chairs for your relaxation. 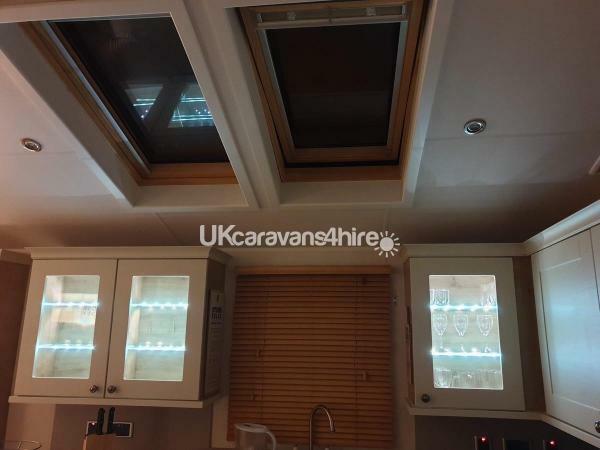 The caravan also has double glazing and full central heating. Also available to use if required: travel cot and highchair. Bed linen is provided and beds are made up for arrival. Please also bring along your own towels, tea towels , washing up liquid scrubbers, toilet paper, dishwasher tablets and washing powder. 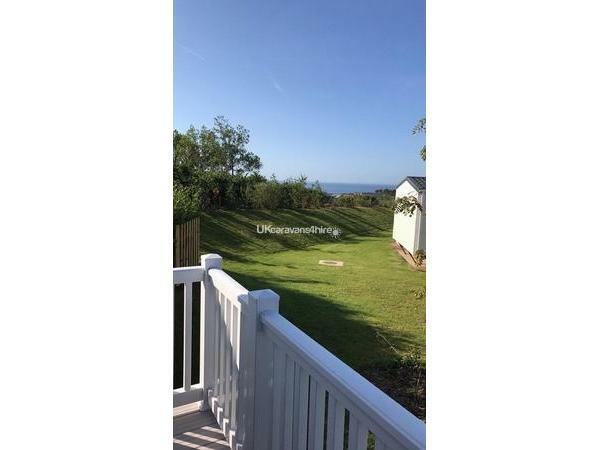 The caravan is situated in Eagles Peak with is approx 5 mins walk from the main complex and 10 mins from the beach, there are also 2 children play areas near by. 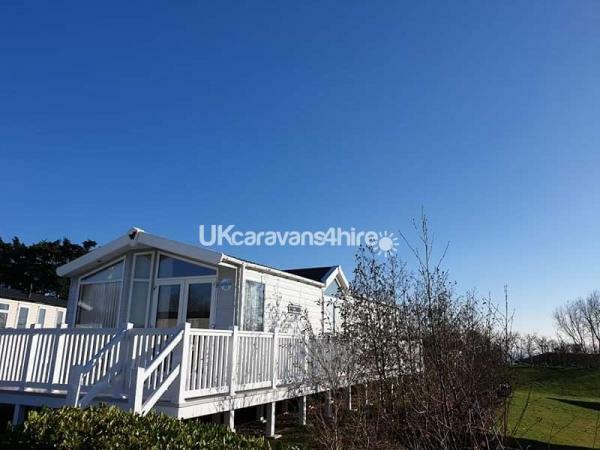 The keys to the caravan are kept in a key safe and the code will be given to you prior to your holiday, Check in time is 2.30pm and check out time is 10am.